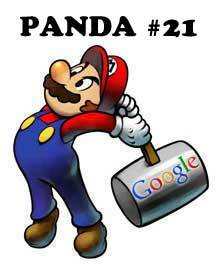 We have a confirmed Google Panda update that happened this past Monday, November 5th. This would be the 21st Panda refresh or update we have on record. Before that, we had version 20 on September 27th, which was about five-plus weeks ago. Danny Sullivan confirmed the update at Search Engine Land. Typically I'd try to post about this in more real time or before they are confirmed, but I've been offline for a bit. This refresh impacts about 0.4% of queries that a regular user might notice and 1.1% of the United States in English searches. Forum discussion at Digital Point Forums & WebmasterWorld. Previous story: It's Official: Google's New Top Navigation Goes Live But Will It Remain "Clean"?